Alpesh Chauhan, who conducts two diurnal BBC Proms this weekend, started his career as principal cellist at the City of Birmingham Youth Orchestra. A friend in the industry tells me that the young British Asian - his parents were born in East Africa of Indian (Gujarati) descent - wants to be judged solely on his music-making, and not on his ethnicity, which is very admirable and refreshing. But there are connections between the cello and India which are worth exploring, so I hope Alpesh will forgive me for using him as the starting point of a path which leads East rather than West. 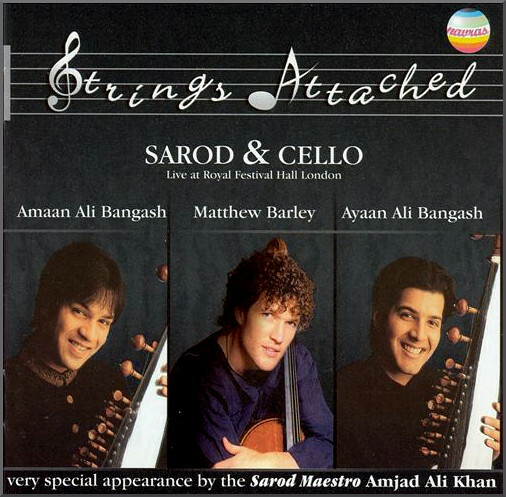 First up is a CD released in 2002 of cellist without frontiers Matthew Barley giving concert performances in London and New Delhi of two ragas, playing with sarodists Amaan Ali Bangash and Ayaan Ali Bangash, supported by tanpura. Although purists may shudder, a raga played on a cello is not heretical. A raga is a loose and tight form that allows the musicians freedom to improvise within a strictly specified rhythm - taal - and an equally strictly specified note sequence (usually five, six or seven notes) that defines pitch. The music is freely developed within the defined parameters of pitch and rhythm in the gat segment of the raga, and as the music is not notated it can be argued that the use of a cello is acceptable if not conventional, provided that the structure of the raga is respected. Another cellist to take advantage of the disciplined freedom of the raga form is Saskia Rao-de-Haas who has developed with violin builder Eduard van Tongeren an Indian cello which acknowledges the vital role of resonating strings in the sound of many traditional India instruments by adding ten resonating stings to the Western cello. Her double CD Making Waves captures the deep and sonorous tone of her Indian cello very truthfully; the discs, which were released in 2003, present three ragas played by various permutations of Indian cello and sitar with tabla - video here. 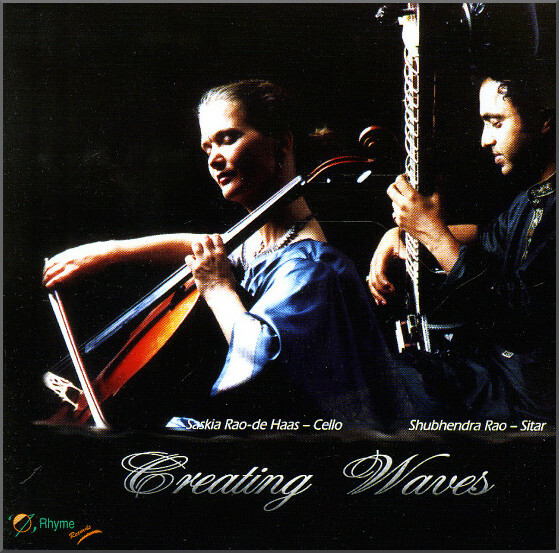 Saskia Rao-de-Haas' double CD is only available as a download. Matthew Barley's CD is no longer available through the major retailer; however there are several samples on YouTube and copies still appear to be available for the bargain price of £4 direct from Navras Records. More readily available is a recent release featuring a distant relative of the cello, the lyra-viol. On Captain Hume's Journey to India the viol virtuoso Philippe Pierlot takes the 16th century composer Tobias Hume on an imaginary journey to India, playing nine of Hume's compositions straight from the score before combining with Dhruba Ghosh on sarangi with support from tabla and tanpura in an exquisite ten minute improvisation. Captain Humes journey may sound unlikely, but it works magically. Unlike many contrived East meets West fusions, I return frequently to all the discs featured in this post, and it is for that reason I am sharing them with readers. But hopefully this path will also provide more musical nourishment than the recent story by an influential cultural commentator which led with the revelation that Alpesh Chauhan's father is a lorry driver. * Staying with my Eastern theme, readers in the East of England who follow my numerous Indian paths may be interested in a recital in the Dhrupad vocal style by the revered Pandit Uday Bhawalkar in the Memorial Unitarian Church, Emmanuel Road, Cambridge at 3:00 PM on August 7th. 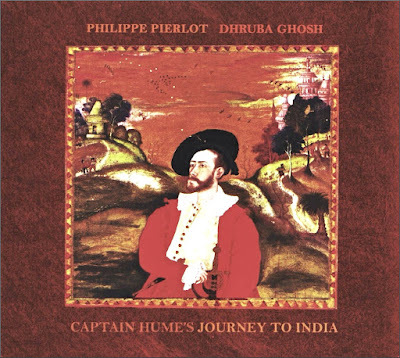 Accompaniment is by pakhawaj and no cello is involved! No review samples used in this post. Any copyrighted material is included as "fair use" for critical analysis only, and will be removed at the request of copyright owner(s). Also on Facebook and Twitter.